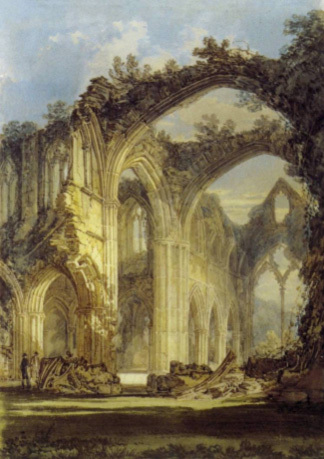 She explained that she has been inspired by Gothic architectural ruins, and J. M. W. Turner’s Tintern Abbey in particular. 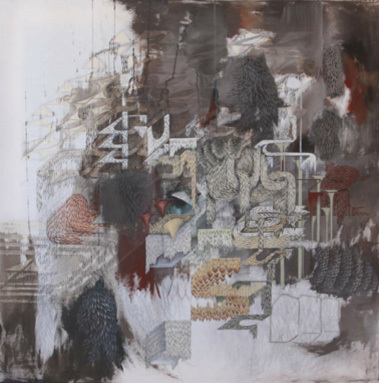 Jeong points out that Turner’s attention to “the mysterious mixing of the organic elements within the architecture” connects Gothic structures to the plants that consume them, even as they emphasize the specificity of an ancient building’s fragmented monumental geometry. 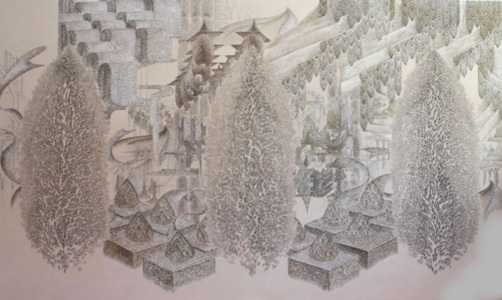 The Axonometric series andTintern Abbey are perhaps surprisingly comparable, as Jeong felt that the Gothic “heavily references natural forms in combination with the organic weavings of nature” in which she also provocatively locates a meeting of Eastern and Western cultural traditions. Axonometric skewing of perspective is a classic method for conveying depth, and Jeong’s compelling canvases do so in a variety of remarkable ways. 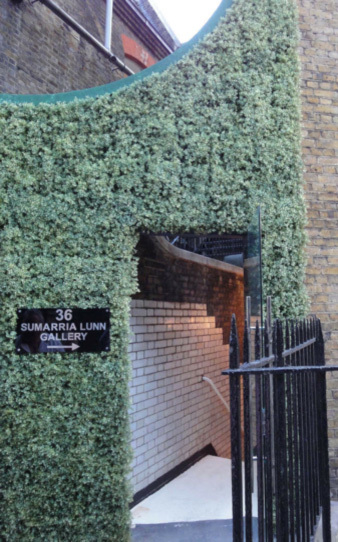 This show suggests that we should expect rich offerings from Sumarria Lunn as they make their mark in Mayfair.